The new examination set on level 3. Today topics related to European Defence Agency (EDA) and arms industry in general. You can also download a pdf version of this test from below the article. You work for European Defence Agency in Brussels. 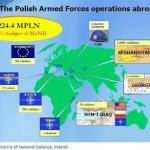 Polish Ministry of Defence expressed their will to join one of your logistic projects. They have sent a letter to find out if it is possible. Write a reply 1) expressing your satisfaction from Poland’s decision , 2) asking for possible contribution to any suitable projects, 3) calling for the next Project Board meeting. Use the notes below and write between 100 and 120 words. Remember not to copy the exact phrasing of the task instructions or input! Otherwise, you will be penalised. This entry was posted in Writing and tagged egzaminy MON, level 3, military English, military reports, mock exams, pisanie, poziom 3, SLP 3333, SPJ 3333, STANAG tests, writing on 01/30/2015 by Paweł Jasiński. The new examination set on level 3. As usual, the example answers will follow as soon as my students do this set. You can also download a pdf version of this test from below the article. 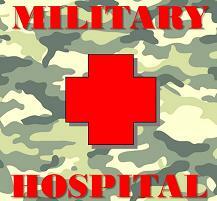 You have received a letter asking to organize a conference about security for the military personnel. Write a reply 1) agreeing to the request, 2) asking for more information, 3) making suggestions and giving reasons for them. Use the notes below and write between 100 and 120 words. Remember not to copy the exact phrasing of the task instructions or input! Otherwise, you will be penalised. This entry was posted in language skills, Writing and tagged egzaminy MON, level 3, military English, mock exams, poziom 3, SLP 3333, SPJ 3333, STANAG tests, wojskowy angielski, writing on 01/29/2015 by Paweł Jasiński. 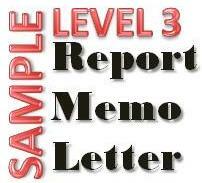 Another examination set on level 3. The courtesy of the PAFSL in Łódź. Good luck! In the area where you are stationed on a mission there is going to be a referendum. You have received a letter from the local authorities with a request to provide more security and to protect the polling stations on the day of the referendum. Write a reply to the letter 1) accepting the task, 2) asking for additional information and 3) suggesting a meeting to arrange further details. Use the notes below and write between 100 and 120 words. Remember not to copy the exact phrasing of the task instructions or input! Otherwise, you will be penalised. This entry was posted in language skills, Writing and tagged egzaminy MON, exam format, level 3, military English, mock exams, poziom 3, SLP 3333, SPJ 3333, STANAG tests, tests, wojskowy angielski, writing on 12/02/2014 by Paweł Jasiński. Below you will find example answers to the writing tasks included in the exam set: L3/W/008. Use these papers (a report, a memorandum and a letter) as a reference for your own writing. The examples provided are raw students’ papers with all grammar and lexical errors corrected. This entry was posted in language skills, Writing and tagged egzaminy MON, level 3, military English, military reports, mock exams, pisanie, SLP 3333, SPJ 3333, STANAG tests, wojskowy angielski, writing samples on 12/02/2014 by Paweł Jasiński. A foreign TV team wants to come for two days to make a short programme about the Polish peacekeeping mission. You have been tasked with organising their visit. Write a letter 1) informing them about your commander’s approval of their arrival, 2) establishing the details of their visit and 3) asking about their suggestions. Use the notes below and write between 100 and 120 words. Remember not to copy the exact phrasing of the task instructions or input! Otherwise, you will be penalised. This entry was posted in language skills, Writing and tagged egzaminy MON, level 3, military English, military reports, mock exams, pisanie, poziom 3, SLP 3333, SPJ 3333, STANAG tests, wojskowy angielski, writing on 11/27/2014 by Paweł Jasiński. Below you will find possible answers to the writing tasks: L3/W/006. These are real students’ papers, where I corrected some grammar errors and awkward phrasing. I preserved the original layout, work organization and student’s way of reasoning. The given examples are good enough to pass the exam on level 3. Read it, use it and compare with your own papers. 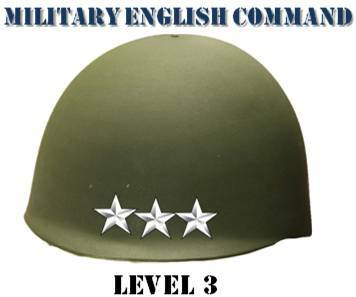 This entry was posted in language skills, Writing and tagged egzaminy MON, level 3, military English, military reports, mock exams, pisanie, poziom 3, SLP 3333, SPJ 3333, STANAG tests, wojskowy angielski, writing samples on 11/26/2014 by Paweł Jasiński.